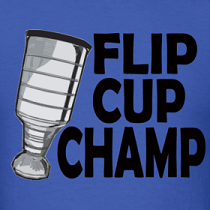 Dirty Dangle Hockey: Hockey's Here! 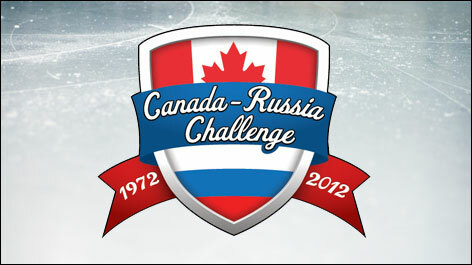 Canada-Russia Challenge! It's been almost two months since the LA Kings won the Stanley Cup, and that means two months without any live hockey action. Luckily for us, it's the 40th anniversary of the 1972 Canada-USSR Summit Series and the two countries will be commemorating that event with a four game Canada-Russia Challenge as well as honouring the victims of the Lokomotiv Yaroslavl air disaster. If you remember the 2007 Super Series which featured an eight game series between the Canadian and Russian U20 teams, you know we're in for some great junior hockey. Canada absolutely domianted that series with a record of 7-0-1, but expect this years matchup to be much closer. The Russians will be led by Nail Yakupov, Mikhail Grigorenko and Andrei Vasilevski - all 2012 NHL Entry Draft first round picks. They will be 3 of the 11 returning players from the 2012 World Junior Championship squad that defeated Canada in the semi-finals and won silver (lost gold?) this past tournament. Of the 29 players on the Russian roster, 20 are undrafted, so it will be a good time to get some early scouting in for this years WJC as well as next years draft. All eyes will be on the top pick Yakupov however, as he dazzled at the Oilers prospect camp and will be looking to show his skills on the world stage once again. The Canadians will have 7 returning players from the 2012 WJC, but only 2 undrafted players on their roster. They do however have 12 first round picks from both 2011 and 2012, including a loaded defence core with 4 of the Top 8 picks taken in this past draft patrolling the blueline. Their forwards will be lead by Panthers prospect, Jonathan Huberdeau, Winnipeg Jets preseason legend, Mark Scheifele, and WHL scoring sensation, Ty Rattie. Backstopping the Canadians is Bruins top pick, Malcolm Subban, who will be aided in front of the net by the forgotten piece of the Phil Kessel trade, Dougie Hamilton. One guy you won't see out there is 2013 Top Prospect, Nathan MacKinnion (still only 16), who cannot play for the squad due to a Hockey Canada rule that bars players from competing if they have not yet participated in Canada's U18 program. Here's the schedule, so make sure you catch a game or four. It's going to be a great series with history and bragging rights on the line and hopefully more Nail Yakupov soundbites.